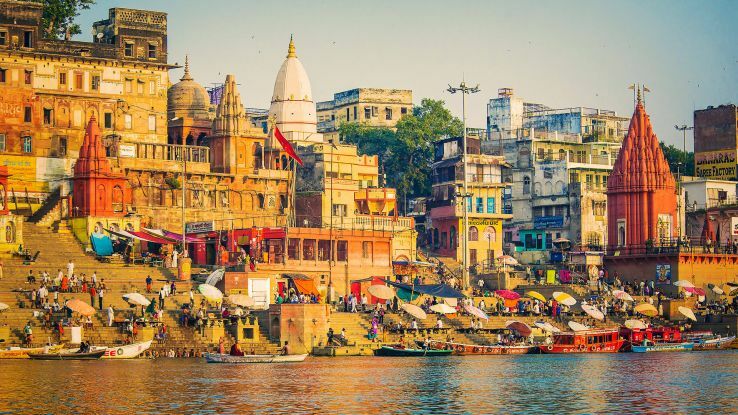 Benaras or Varanasi is a holy mystical city for the Hindu faith that is situated on the banks of the river Ganges on the eastern fringes of the state of Uttar Pradesh in India. It is an age-old city that also has its reference in ancient Vedic scriptures and Puranas. A visit to the city can start from the streets of Benaras and can go all the way to its many sprawling Ghats and a lot of other attractive places that the city can boast of. As a traveler, one can be tempted to see, hear and observe many types of occurrences that are an exclusive insignia of the city and in all circumstances; a memorable journey will start from the streets of Benaras. We shall highlight here some of the most lively places in the city that are worth a visit by any tourist. If you expect an order from the streets of Benaras, then you are in for some absolute shocker as they can be simply described as 'organized mayhem'. Narrow streets and alleys all over the city are spread in equal measure that is particularly jam-packed most of the time. Here, you don't have to be cautious of an approaching vehicle behind your back. It will surely find a way out...and so are the cows roaming bang on the streets. People revere them here and they receive all the adulation from them. The best part is that they will seldom come at you! However, passing through the streets of the city can soak you in a hangover as well as unadulterated nostalgia as these are the alleys that have been frequented by mankind since early civilization. Yet, now you will find small shops bang on the doorway or a bike just scrapping itself from somewhere. You can go anywhere but you just can't run away from the streets of Benaras! Tourists can expect to get some serene surroundings on the banks of the river Ganges in the form of many historic Ghats which are witness to the city's popular culture. In fact, the Ghats itself are a part of the city's culture because right from birth to death, they are there in every aspect of a Benarasi man's life. Hinduism sect believes that salvation can be achieved upon death in Varanasi and hence its Ghats are held in high esteem as people are burnt at this very place. However, from the streets of Benaras, one cannot imagine what is in store unless the Ghats are physically visited. 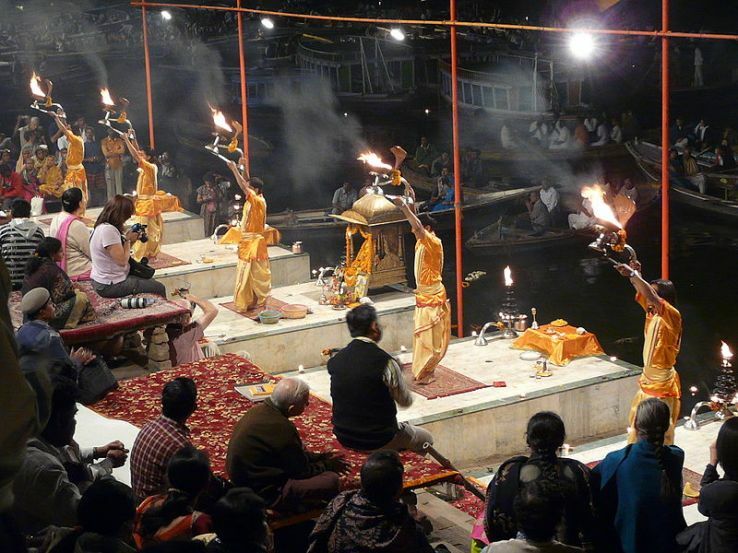 There are more than 80 Ghats in Varanasi and religious ceremonies like marriage, mundan first hair shaving of a child and pujas are done at these Ghats every day. One can meet people from not only from various parts of the country but throughout the world who come here to experience its many hues. The most popular amongst them are the Dashashwamedh, Harishchandra, Manikarnika Ghat, etc. Manikarnika Ghat is the place where one can expect to see more than a 100 pyres being lit at a time. 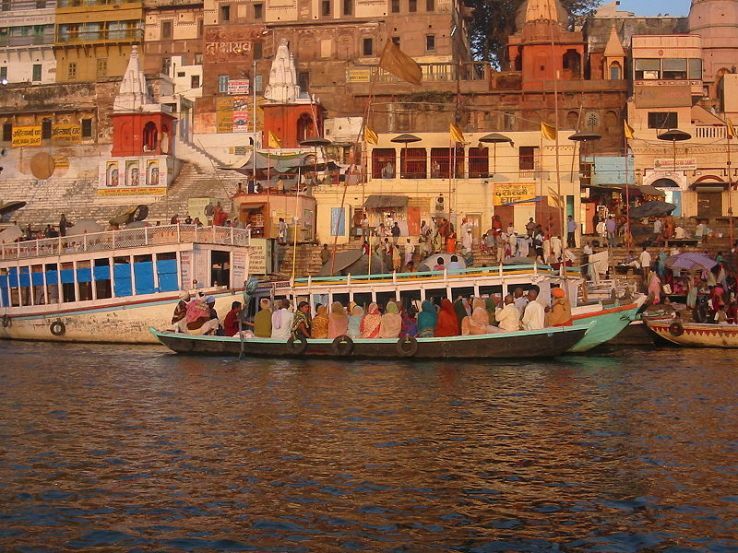 Once you are off from the streets of Benaras, the Ghats can present a mesmeric feel. An evening boat ride from the Dashashwamedh Ghat can be absolutely enchanting as the Ganga Aarti can be seen in its entire splendor. For a more serene experience, the boat ride should start a little earlier because, during the early evening, the calmness of the city and its banks, in particular, can be captivating. A similar boat ride near the Manikarnika can also be compelling but only for the fact that the fires on the banks are all pyres that are lit there. If you had enough from the streets of Benaras, take a break and head to the Kashi Vishwanath Temple that is a marvelous architectural masterpiece in its own right. It is a very old temple regarded as the "Golden Temple" of Shiva that was rebuilt during the 1770s after getting partially damaged. Another destination in the city is the Ramnagar Fort if armory and museum are what attracts you. 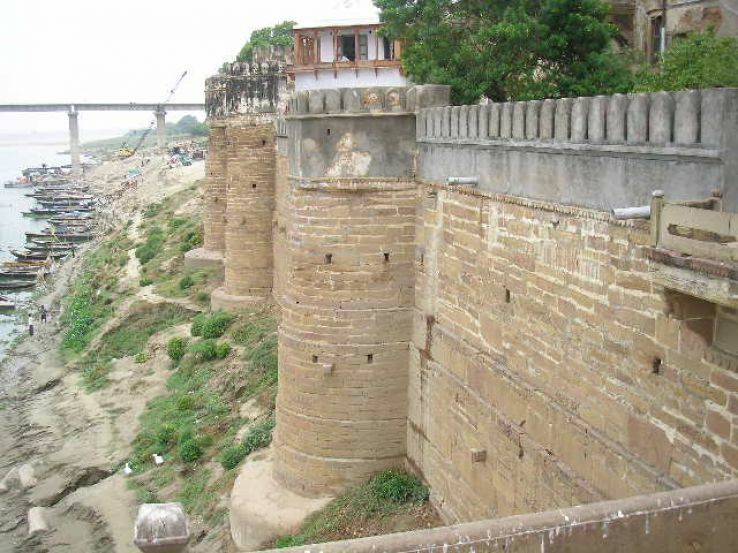 This 1750s fort is located near the Tulsi Ghat and is completely made of sandstone. Though it is slightly away from the city yet traveling here from the streets of Benaras can be quite fantastic. Although the city may not be very clean, the charm of it is enough to attract tourists towards it as the people are jolly and damn friendly at all times. There is a certain aura that fills its air and from the streets of Benaras, one can be able to get a hang of it. If there is a plan to visit the city, wait no longer and just hit the deck and keep going. Tourists can expect to get an experience of a lifetime over here.